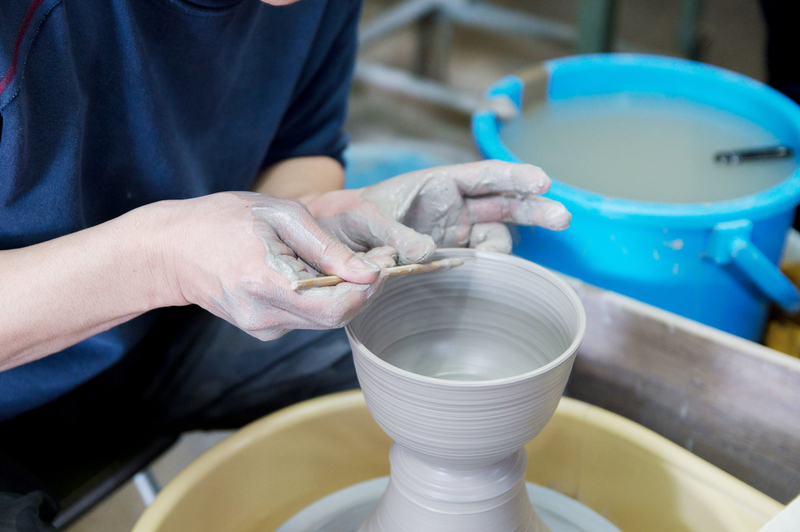 How about discovering the Kyo-yaki/Kiyomizu-yaki pottery creation process? Enjoy a demonstration of the advanced techniques of matcha tea bowl and teapot making by high-skilled artisans of UNRAKU-gama kiln. You can observe and get the explanation not only about molding, but also about glazing and painting -- all the techniques necessary to make a finished piece of pottery from scratch. After the tour of the kiln, have fun choosing the artisans’ works in the joined shop.